Queensland Australia is famous for its lush tropical rainforests, idyllic beaches, and breathtaking scenery. From the Gold Coast of Australia to the world-famous Great Barrier Reef, wherever you go in Queensland you will find plenty to see and do. The locals are friendly and the land has a near-perfect climate of warm summer days and mild winters. Truly, there is no bad time to consider an adventure across the State’s picturesque coastal roads. The Scenic Coast of Queensland offers unique adventures to explore the State’s picturesque coastal roads. There are some awesome coastal drives to consider and here we explore a few of Queensland’s Top Road Trips. 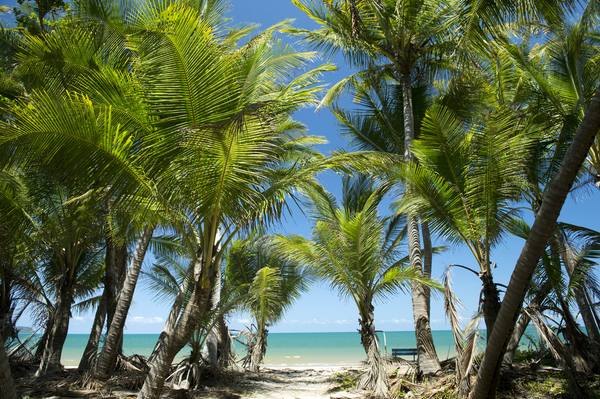 Port Douglas to Townsville is common road trip along the Northeastern coast of Australia. This scenic drive is an excellent way to see the World Heritage-listed site of the Great Barrier Reef, Daintree Rain Forest, and Wet Tropics of Queensland. This excursion is also a rare opportunity to experience more of Australia’s iconic history, culture, nature, wildlife, and people. Ingham – Ingham is known for its wildlife preservations and exquisite natural waterfalls. Surrounded by wetlands and National Parks, you can easily take in some of the luxuries of the beautiful outdoors. Popular waterfall destinations include Wallaman Falls and Jurama Falls. The town of Ingham is also known to have a few good pie shops just north of town. Cardwell – Located right on the water surrounded with amazing views, Cardwell is filled with nature and parks to explore. One, in particular, is The Spa Pool which is a magnificent swimming lagoon. Mountain water flows by underground mineral springs. The color of the Spa Pool is a clear blue and gets deeper in color during the winter months. The Spa Pool is easily accessible and 100% worth visiting. Tully – Is known as a sugar mill town filled with cute little shops located off the scenic highway. You can schedule a tour of the Sugar Mills and taste wide assortments of candies and other sweets. There are also some outdoor adventures you should consider to explore. From kayaking or canoeing to white water rapids. Mission Beach Driving back on the Bruce Highway, you’ll pass your way through lush stretches of tropical rainforest before arriving at Mission Beach. 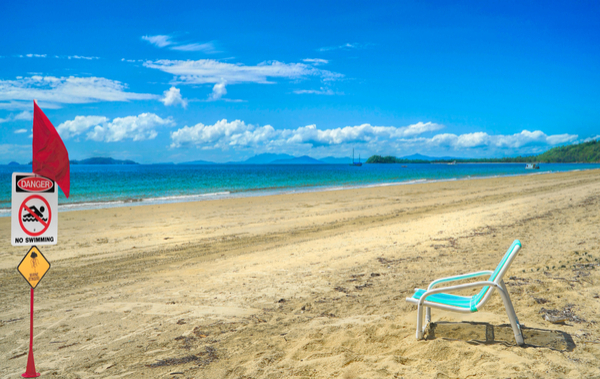 The beach is a 14-kilometer stretch linked by four beach villages. Wander through the local boutiques or art galleries or enjoy dinner overlooking one of the most beautiful beaches in Australia. Innisfail – A small town surrounded by small and local shops and cafes. There is a nice park also in the middle of the town. 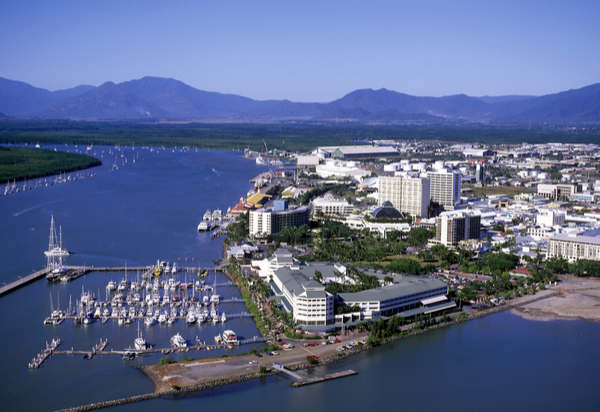 Cairns -The gateway to Queensland’s tropical north, Cairns is a laid-back city best enjoyed outdoors. 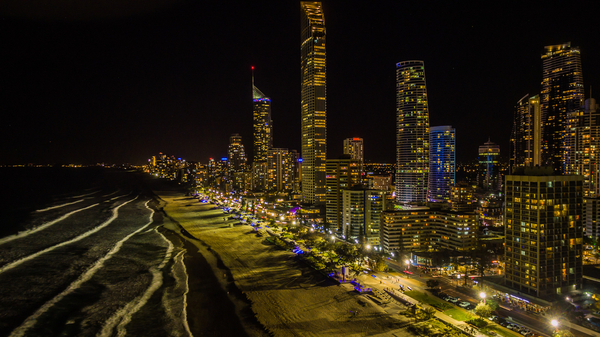 The Gold Coast strip is packed with features and attractions that are quintessential of the area. 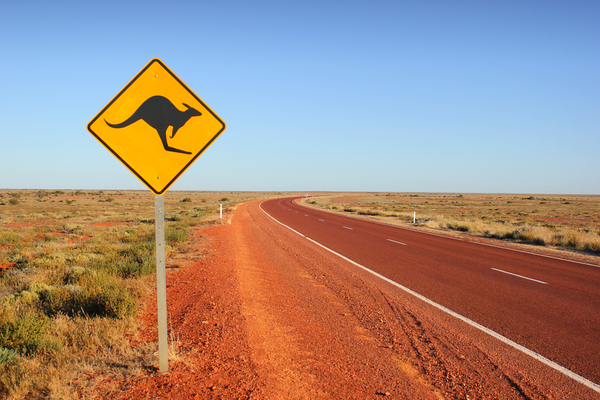 A pleasurable drive throughout some of Queensland’s best-loved regions. The sights include spectacular beaches, architecture and pristine skylines, adrenaline pumping theme parks, and leisure resorts. 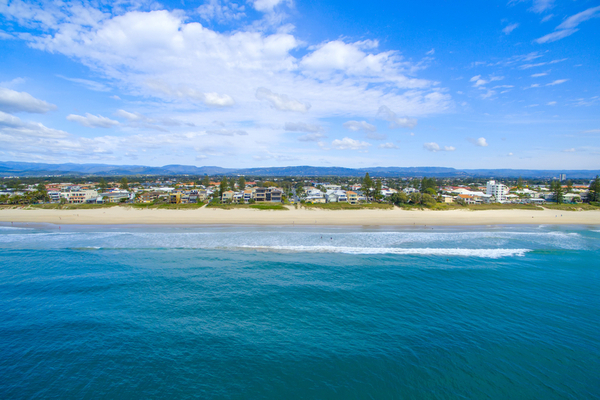 Head north from Coolangatta along the Pacific Motorway to the man-made canals of Surfers Paradise. Take your time to stroll along the boardwalk and grab lunch from one of the many local restaurants. Turn right at Oxenford and head along Hope Island Road to Sanctuary Cove, where you can spend the day shopping or even sneak in a few quick rounds of golf at internationally renowned golf courses such as The Pines and The Palms. If it’s excitement that you are seeking, the Gold Coast is perhaps best known for its premier theme parks – Sea World, Wet’n’Wild, and Dreamworld. Ride the wild roller-coasters and waterslides or just relax and enjoy entertainment like a seal show and meet Australia’s only baby polar bear ‘Henry’. 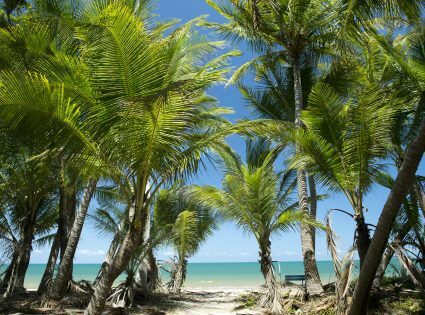 Note: During the warmer months, cyclones often assault the region and for this reason, the best time to travel the North Queensland coast is between April and October. The two-hour journey along Gympie Road and the Bruce Highway from Brisbane’s CBD to Noosa is one that offers a stack of inviting stopping points. Featuring the World Heritage-listed Fraser Island. Located just off Hervey Bay, Fraser Island is the largest sand island in the world and is a place of absolute pristine beauty. If you are traveling through the region in July through to November, ensure you take the opportunity to watch the Humpback Whales on their annual migration north to warmer waters. Another must see in the popular Australia Zoo. Turn off the Bruce Highway and drive for about 45 minutes along Steve Irwin Way to the zoo’s entrance. Entry is from $59 and here you can hug a Koala and get up close and personal to a huge Saltwater Crocodile. After a good night’s rest, head back onto the Bruce Highway for the final leg of the journey to Townsville. On your way, stop by the Wallaman Falls, Australia’s highest single drop waterfall. Upon arriving in Cairns, take the popular Kuranda Train and Sky Rail Tour. Upgrade to the diamond view Gondola where the gondolas have glass floors offering a complete view of the rainforest and the Coral Sea. Additionally, we recommend booking a diving tour of the Great Barrier Reef. These tours range around $200AUD. From there, jump on the Bruce Highway and head south to Innisfail. Visit the National Heritage Listed, Paronella Park. The jaw-dropping castle built in the 1930’s remains secluded and hidden amongst the palm trees. Built by one man in the style of a Spanish Castillo, this spectacular site is not only gorgeous but has a fantastic story behind its history. If you are considering exploring the stunning coastal drives of Queensland, a great way to enjoy the trip is by hiring a campervan. Indeed, a campervan, such as the ones through Maui, give you the freedom to stop anywhere that takes your fancy. The perks of using a campervan ensure your accommodations and cooking facilities are with you wherever the road takes you. For a Queensland coastal trip, the Maui Platinum camper is an ideal companion. The camper sleeps up to six people and includes a well-equipped kitchen, bathroom facilities including built in shower and a TV and DVD player. In conclusion, we hope that our list of recommendations comes in handy for your Queensland road trips along the scenic coast. With so many sights to see and things to do, you really can’t go wrong.